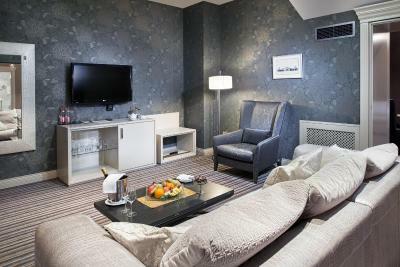 Lock in a great price for Hotel Bristol – rated 9.2 by recent guests! Friendly and helpful staff. Very professional. Everything was in pristine condition. 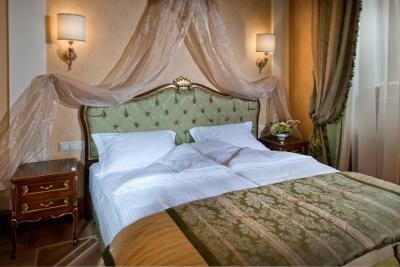 Authentic luxury and 5 star service. 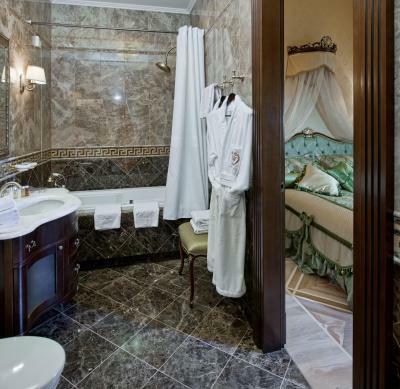 Lovely room with a very nice bathroom. Excellent location. Breakfast was excellent with superb porridge! 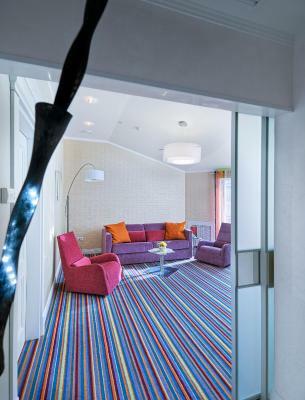 Well designed hotel rooms and lobby. Staff was attentive. The entire staff spoke English including housekeeping. The breakfast selection way EXCELLENT, unfortunately it was usually cold. The Staff was EXTREMELY courteous and professional in appearance and during interaction. Beds excellent and customer service first class! Concierge LYUDMILA DESERVES A SPECIAL MENTION!! IT WAS AS GOOD AS ANYTHING I'VE STAYED IN THE WEST. ENGLISH SPOKEN WHICH IS VITAL IN TODAYS MODERN BUSINESS WORLD where the language is spoken by 2.2 billion of the planets population of 7 billion! In contrast RUSSIAN is spoken by 3 million. There should be more as good as this hotel! It's the best in Ukraine!! Also the restaurant is FIRST CLASS with reasonable prices and the staff are trained to a high standard! THANKS to EVERYONE at the hotel for making my stay an enjoyable customer experience! 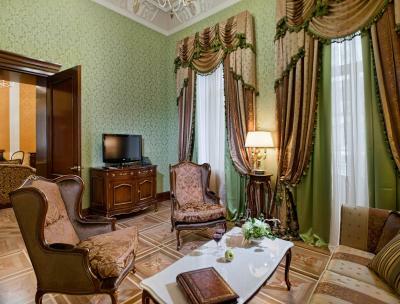 One of our top picks in Odessa.Hotel Bristol is a 5-star hotel in the central Odessa, set next to the Odessa Philharmonic and just 1,650 feet from the State Opera and Ballet Theater. The hotel offers a 24-hour front desk service, concierge service, a restaurant, free private parking and a Spa with an indoor swimming pool. 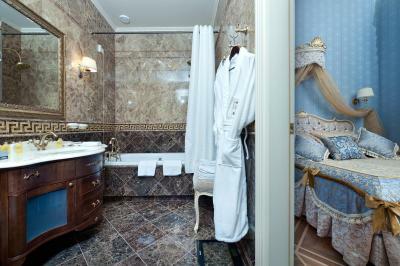 The Bristol Hotel has soundproofed rooms and suites, decorated in a classic style, with Italian furniture, a TV, and a bathroom with marble décor. Wi-Fi is free. After a busy day, guests can relax in the Spa of the hotel, which includes an indoor pool with a summer terrace overlooking the city. 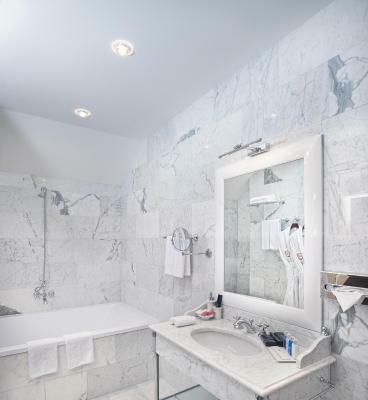 Also you will find a hot tub, sauna areas, a modern gym and a wide range of massages. Le Grand Café Bristol restaurant serves dishes of the Mediterranean cuisine and fine wines. Guests can enjoy breakfast every day at the hotel's restaurant. Kosher breakfast is also offered. The hotel also offers conference rooms. 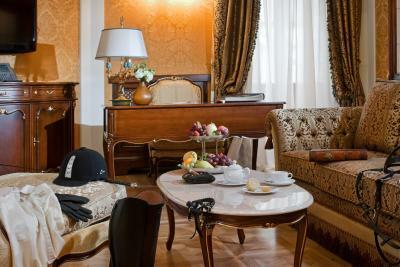 The hotel’s front desk offers a car rent and a ticket booking service. 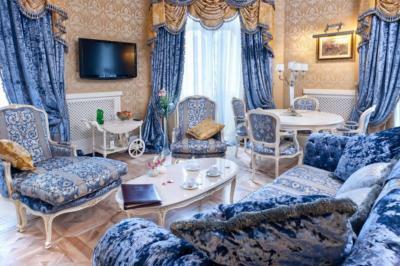 Guests can book shuttles to Odessa Airport, only about 5.6 mi away, and to Odessa Train Station that is 1.9 mi away. 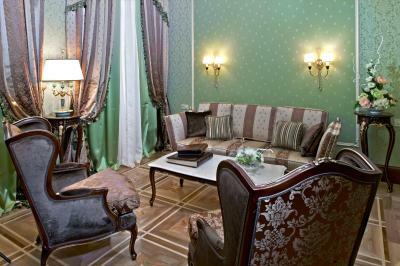 Classic-style room overlooking Pushkinaya Street, the Philharmonic Hall or the inner courtyard. 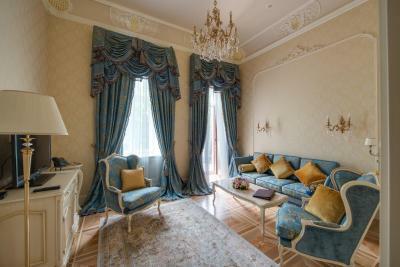 Classical-style room overlooking Pushkinaya Street, the Philharmonic Hall or the inner courtyard. This room offers a spacious layout and a balcony. 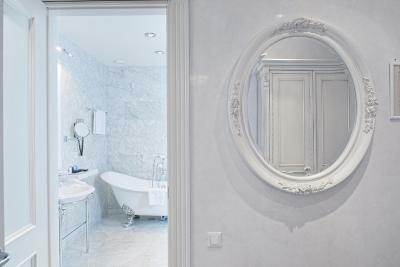 Very spacious suite decorated with historic artwork and an elegant marble bathroom. 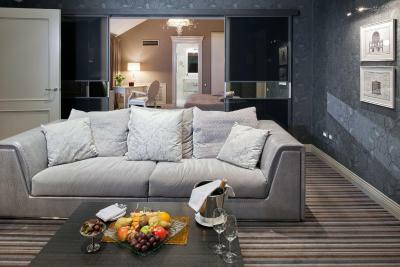 Features a separate living room and a bedroom with king or super-king bed. 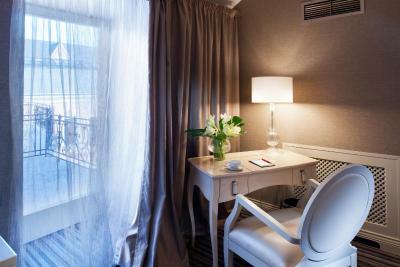 This suite is located on the top floor of the hotel. It includes a spacious living room, a study area, a large bedroom with a stylish white marble bathroom as well as a cozy outdoor terrace. 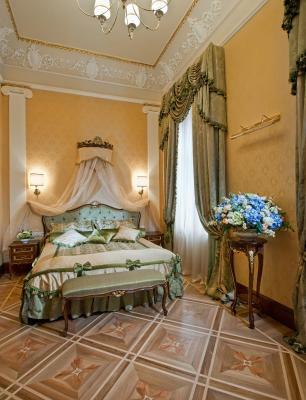 This spacious suite is decorated with elegant custom-made Italian furniture and unique interior details: painted ceiling, palace parquet floors made of three types of wood, elegant curtains, a majestic crystal chandelier and a wide variety of Baroque-styled decorative elements. 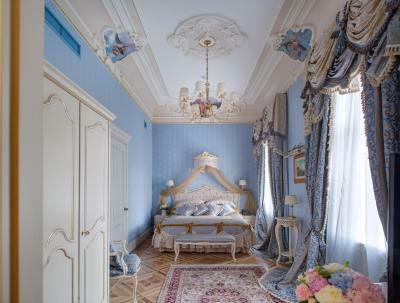 This suite consists of an elegant bedroom, a comfortable study and a spacious living room with a balcony offering a stunning view of the central streets of Odessa. 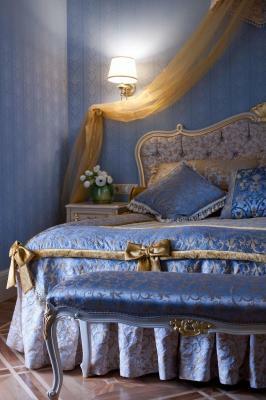 Any additional children or adults are charged UAH 960 per night for extra beds. A $45.00 fare for a one way trip from/to the airport is a bit extreme, especially since Uber or a taxi will cost you less then $5.00. The hotel needs to make a greater effort to keep breakfast items, which are meant to be eaten hot, at least warm. 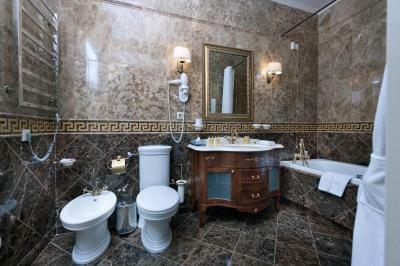 classic style, very good location. Dinner very good. Very good staff. my room didn’t have windows, just the sky view (windows on the roof ceiling). it was also very cold in the room. the water pressure was also poor. the breakfast was great - especially syrniki! the staff was friendly and helpful. The only annoying thing was the checkout process and specifically, the fact that we've been asked to wait until the rooms are checked by the service ladies for "lost/forgotten items" which looked like a verification if nothing was stolen from the room. We felt pretty uncomfortable in that situation and had to wait until we were informed that we can leave. Overall, everything was great, the beds are comfy, the rooms are super clean, the breakfast was delicious the location is good and the value even better! The bed was absolutely not comfortable! Very hard ! Unacceptable for 5 star hotel ... Reception girl told us at check in that hotel pool is closed for some strange reason, which wasn’t mentioned anywhere on booking ... The reason I picked this hotel was because it had pool facilities...My second stay , this time very disappointing, I doubt I will visit it again ..
Fabulous hotel, spotlessly clean, charming, friendly with lovely facilities. We didn’t want to leave. No iron in room! You have to go in 2 nd floor to an iron room ! Not practical !I was in a hurry, I had to go to my event with unironed shirt ! Was not great ! 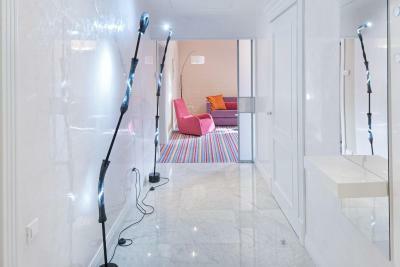 for such a hight price room ! Good breakfeast, very nice looking hotel! I found the whole experience of staying in your Hotel excellent. We really appreciated the kindness of the staff They all were so helpful. The breakfasts were wonderful and such variety of foods and beautifully presented.